Justin Guarini burst onto the music scene in 2002 as one of the stars of the first season of American Idol. Coming in second alongside another now-familiar name, Kelly Clarkson, Guarini’s renditions of jazzy, soulful tunes, along with his signature curly locks, helped secure him as one of the many famous names to come out of the hit music show. Today, Guarini has traded in the heat of competition and screaming teen fans for a more mellow lifestyle. Now married with a new baby in tow, the Doylestown, Pa., native has gone on to release his own independent albums, while occasionally appearing on stage, and teaching other hopeful performers the art of music. We spoke with Guarini in anticipation of his upcoming appearance at the Haddonfield Theater Arts Center, where he will be teaching acting and singing, as part of the theater’s Master Class Series, to fans and future stars of all ages on Oct. 12. 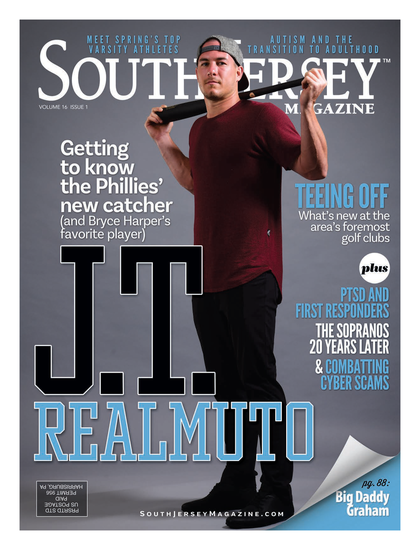 SOUTH JERSEY MAGAZINE: How has your career developed since American Idol? JUSTIN GUARINI: Because of American Idol, I’ve been blessed with the opportunity to travel all over the country and world doing what I love to do best ... entertain people. I’ve had success in film, television, radio, music and theater. SJM: You were considered one of the first stars of modern-day reality TV. How did the limelight of reality TV impact your career decisions, and how did it shape you into who you are today? JG: Was I? It’s funny ‘cause I don’t think of myself that way! Basically the show gave me the ways and means to have the life and career I’ve always wanted. It shaped me through fire, trial and error. SJM: What do you want to stress in your master class in Haddonfield? JG: Fun. Seriously; if you can’t enjoy the process and freedom that performance brings, well then you’re pretty much sunk. SJM: What made you passionate about teaching others? JG: I love to share the things I’ve learned so others can be better informed. I love to teach, because it’s one of the best ways for me to learn, as well. SJM: You’ve had a lot of success in music and television since leaving the show. What else are you working on in your career at the moment?? JG: I’ve been living it up in the theater, and enjoying my little family. I’ve been so blessed to have balance in my life with a happy family and a healthy career. SJM: What do you like doing when you have some down time? JG: I love going to the park with my wife and kids. SJM: You attended the University of the Arts and sang in choirs across Philadelphia as a child. How does Philadelphia, and Greater Philadelphia, compare to other cities that you have performed in and lived in? JG: Philly has music in its bones! Not every major city has a signature sound, and I’m lucky to hail from Philly’s soul experience. SJM: What do you miss the most about the area when you’re away? 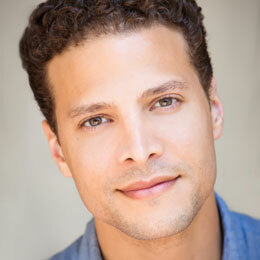 Justin Guarini will be at the Haddonfield Theater Arts Center (6 E. Kings Highway) on Oct. 12, 6-8 p.m. Registration is $50 per person. For more information, visit HaddonfieldTheaterArtsCenter.com or call (856) 229-7838.